As your road trip routes through the college dorms, successful navigation means apprehending your destination and enjoying some scenery along the way. There’s a balance between pleasure and purpose. Or, to go a step farther, the pleasure serves the purpose by giving healthy outlets to be refueled and refreshed. It’s remarkable how uniquely individual college students are. Everyone has their own story, their own purpose for being there. Some were sent by their parents almost against their will. Some work jobs to struggle to make it through because they want it so bad. Some are looking to get married. Some are looking to excel. I could go on and on. The motivations for college are legion. 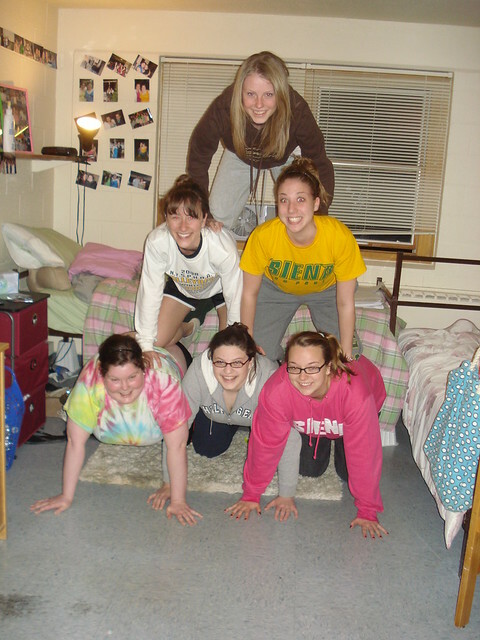 That said, there’s a camaraderie that happens in the dorms that often lasts a lifetime. The atmosphere is electric with aspiration. Hopes and dreams abound, and for good reason. Each student has been placed on that campus with the distinct privilege of connecting to a better future. Many of those friendships truly are for life. Well, what’s the right approach to driving a thousand miles? You can do drive-through windows and fuel-and-go stops and arrive in 15 hours. Or you can stop and shop along the way, sit down for dinner, even get a hotel at the midway point, and arrive in 40 hours. Your approach can vary for many reasons. If you intend to pursue a master’s degree or doctorate, you may want to get there more quickly. How much money you have may cause you to either speed up or slow down. I added a year to my North Central degree by traveling with a music group for a couple of semesters. I dated. I showed up for open dorms once or twice a month, where the guys and girls can visit each other’s floors for a few hours. I did Old Country Buffet runs with the dorm guys. But I also locked myself in a closet to study, literally. When I roomed with Dan and Randy Neary on 4-East, there was a very deep closet with about 6 feet of open space behind the clothes bar. I put a desk and chair in there with extension cords for a lamp, fan and boombox. Going to study was like going to Narnia. I pushed through the clothing to a whole new world. I also went to bed at a decent hour, sometimes with a fan sitting on wood chair to wash out the hall noise.